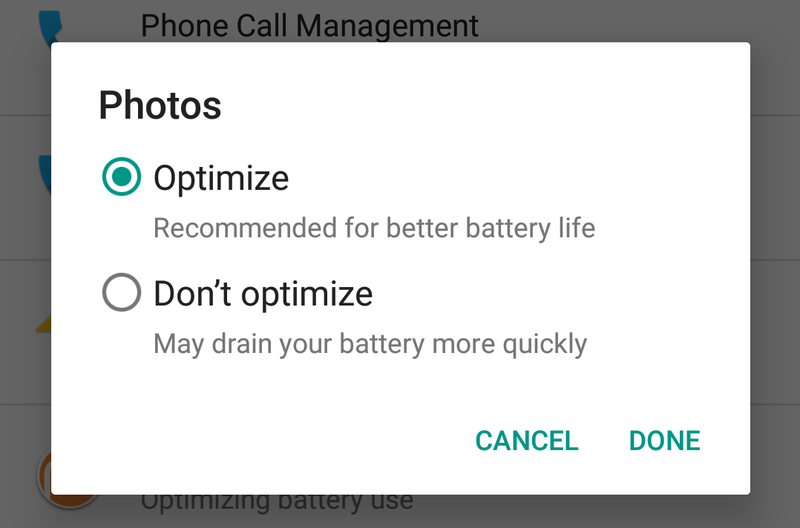 You may have heard one of the new features in Android Marshmallow is Doze, a standby mode for your apps that slows down background processes and pings to the cloud while your device isn’t being used. While there’s no way to turn Doze itself on or off, you can exclude certain apps from it if you want to make sure they’re kept on alert at all times. From the Settings app, tap Battery and then the menu button (the three vertical dots in the corner). Choose Battery optimization from the menu to see apps currently excluded, which should be a couple of key OS services. Tap Not optimized and choose All apps instead and you can select any installed app to exclude it from battery optimization (Doze). It means Doze won’t be quite as effective at saving battery life when your smartphone or tablet is sitting on a table doing nothing, but on the flip side you will get alerts, messages, and updates for the selected apps more quickly. Note that developers can also set certain processes as high priority (un-Doze-able) from their end as well.